Cool off with these light summer recipes the whole family will enjoy! 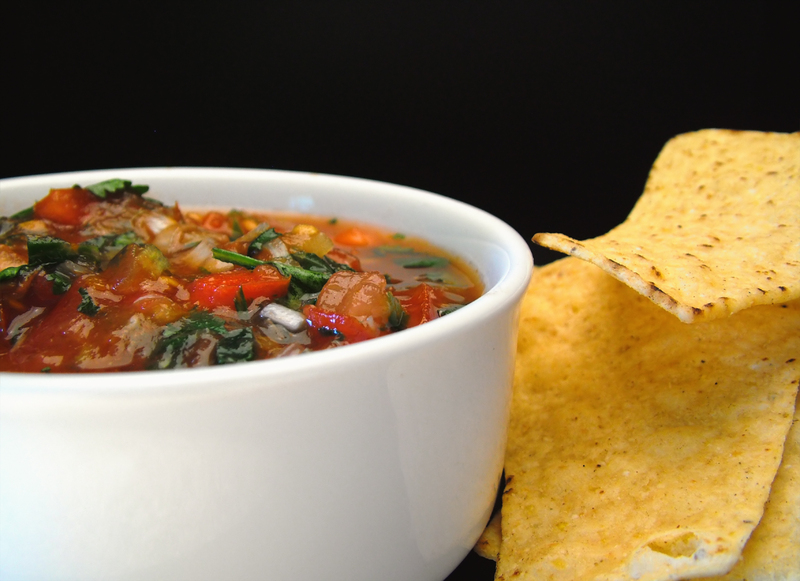 1) Fresh Tomato Salsa: Prepare this delicious appetizer for any event. Your friends and family will love the fresh ingredients, and it’ll impress even the peskiest of eaters. The homemade recipe goes with any chip and will hold your guests over until your next exciting dish. Try it with some pita bread to spice up the fun. 2) Grilled Honey Glazed Chicken with Green Pea and Mint Sauce: You might want to try this great entrée after digging into the salsa. With only a 30 minute prep time, your loved ones won’t be waiting long. It’s a refreshing twist on a classic dish. Put your garden veggies to good use. With tomatoes, cucumbers, peppers, and onions, you’ll be on your way to meeting your vegetable quota with this soup. The chilled recipe will cool off any hot day! Are you a mushroom lover? Look no further!This great recipe will ensure your guests come back for seconds. This quick and easy dessert will bring a great ending for any meal. It’s less than 230 calories, but will surely satisfy your sweet tooth. Which healthy summer recipes do you love? Be sure to share below!